In order to receive donations, you will need to set up Stripe (https://stripe.com) payment gateway. To set up Stripe as a payment gateway, you will need to visit their site at https://stripe.com/ and create an account. Once you have created your account, navigate to your Account Settings and select the API Keys tab. 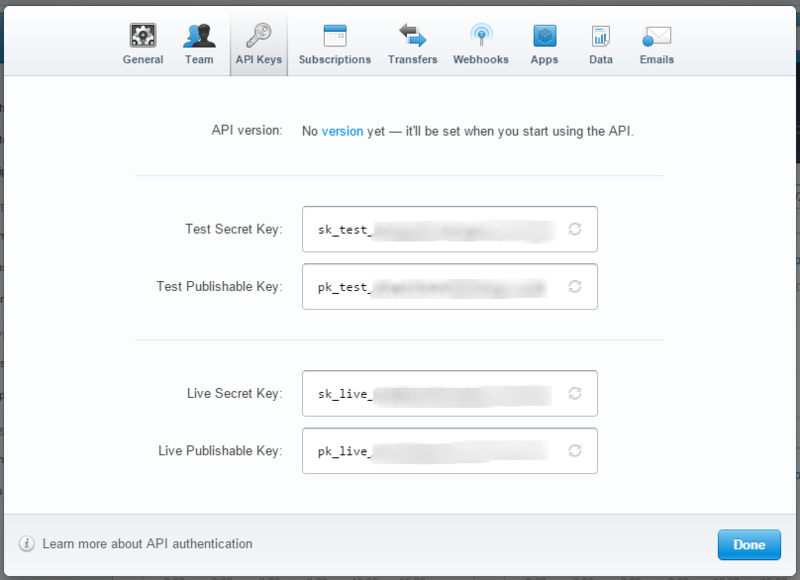 Four API keys will be Displayed. Copy these API keys to the matching fields in the Agape Payment Settings under Billing. Once you have entered in your API keys, set the Stripe Mode within Agape's Payment Settings tab to Test. While testing in Test Mode, use test credentials to proceed through the payment process. See the Adding a Donation Form to Website walkthrough for creating a credit card form to test payments. If your Stripe account is set up correctly, you should see your test transactions on your Stripe dashboard and in the Payments section under Transactions. To view your test transactions, go to your Stripe Dashboard and toggle your Dashboard view to Test. The Live/Test toggle in Stripe is found on the top left of the Dashboard view. If you see your test transactions on the Test view, your Stripe account is set up correctly for Agape. Note: Switching between Live and Test in Stripe's dashboard does NOT toggle how payments are made, but rather for viewing the transactions made from each mode. Switch the Stripe Mode to Live in Agape to begin accepting live transactions.